New York NY: Valentines Day! We had the most wonderful day with all the sisters in the mission. It began with 2 workshops in the morning. One taught by Sister Michelle Workman of LDS family services. She talked about coping skills and ways to deal with the stress of mission life. Three of our fabulous Senior Missionaries, Sister Colton, Sister Dransfield and Sister Huntington taught on fashion, grooming and gave great laundry tips. We met back up in the chapel. The Sisters in the Kingsbridge Zone sang with Sister Richards on the piano. It was beautiful and brought the Spirit in abundance. It was such a treat to have Christian and Stephanie Nielson speak to us. Their message is so full of hope and faith despite great challenges. Stephanie is well known for her blog nieniedialogues. 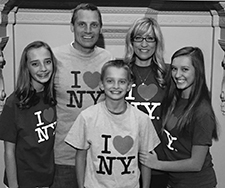 In 2008 they were in a small airplane crash and Stephanie was burned on 80% of her body. Christian also suffered severe burns. It was only by relying on the Savior and his Atonement that they were able to find hope and feel joy once again. Their message was powerful and they connected so well with the sisters. Following the Nielsons, Dave and I both gave remarks. I asked the sisters to "think of yourself at the beginning of your mission and then to think of who you are now"
What does your mission mean to you? What have you learned while serving? 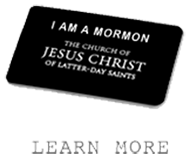 Are you proud of the missionary you have become? Is your family proud of you? Is Jesus Christ proud of you? Who is Jesus Christ to you? What would you say to Christ if he were here right now? What would Christ say to you? It was a tender moment as they pondered on these questions. I want them to recognize how much they have grown and how much the Savior loves them. The Lord’s pattern for progress is line upon line, precept upon precept. "By Small and Simple Things are Great Things brought To Pass"
If today we are just a little bit better than yesterday that is enough and if tomorrow we are just a little bit better than that, than that is enough. 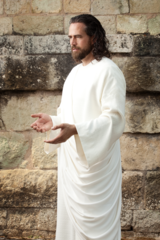 It is through the enabling power of the Atonement of Jesus Christ that we are able to be a little bit better everyday. Special THANK YOU to the Westchester First Ward Sisters for a fabulous Salad Bar Lunch! These two showed up at the church right before asking "Which Tie"?? ?